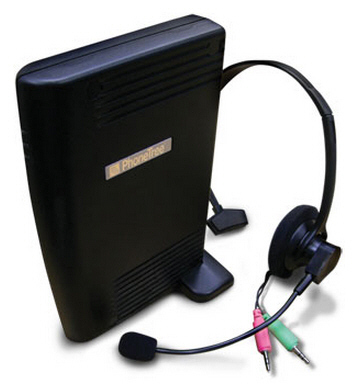 VoiceWave connects to your computer's USB (Universal Serial Bus) and operates with Windows 98, Me, 2000, XP, Vista and Windows 7. Little training is required to use VoiceWave. And to back you up - the VoiceWave support team provides unlimited training and support for 30 days. Just plug-in the supplied phone and USB cables, load the software from your VoiceWave CD and you're ready to go. Unbeatable Pricing for Non-Profits and Religious Organizations! VoiceWave Expandability: Start off with a single line system and when you need it expand it up to 2 lines. You can increase your capacity to as many as 48 lines with the VoiceWave Plus and VoiceWave Premium systems. Accepts Touch-tone Response: VoiceWave allows the called party to leave a touch-tone responses, as many as 6 per call to respond to your questions. You can view who left responses along with the number that was called in your log file. 36 Individual Group Capacity: With VoiceWave you can have up to 36 different groups, each capable of calling an ulimited number of people. An individual manager may be assigned to each group, each with their own password if desired. Remote Dial-in Capability This means that with VoiceWave you can have up to 36 different managers or group leaders with the ability to remotely call into the VoiceWave and initiate call-out sessions for their individual groups. There's no need to be at the system; they'll be able to initiate their sessions from any home, work or cell phone! For Text-to-Speech integration with your VoiceWave system, check out the VoiceWave Premium. With all VoiceWave products you receive unlimited free technical support for 30 days from the date of your purchase. You can download the VoiceWave manual by clicking on the link directly below"
PhoneTree and VoiceWave are trademarks owned by PCS, Inc.